We will never cease to remind you how important and valuable a reliable backlink profile is for a site owner. Knowing this, you might be wondering how you can save time when trying to estimate a domain’s usefulness as a potential source of backlinks. No more long research! Let us do all the calculations. 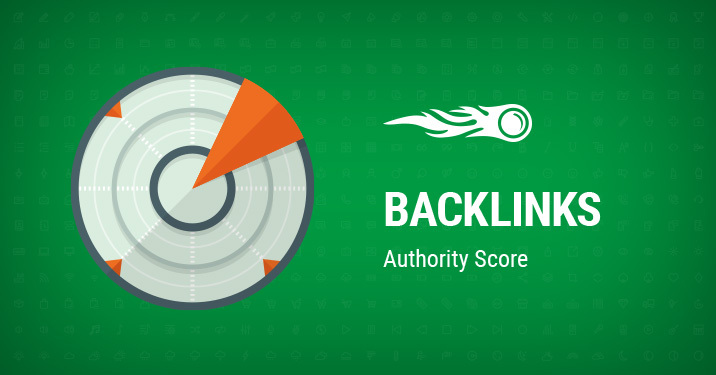 Today SEMrush is proud to present Authority Score – our new proprietary metric in Backlink Analytics that will assess a particular referring domain’s overall quality and show you how beneficial a backlink from this source would be. Authority Score is used to indicate not only the amount or quality of backlinks but also the strength and popularity of the domain. You can easily find our new metric in the Overview report of Backlink Analytics. Authority Score Trend is also available to help you view how the metric value changes over time. We really hope you enjoy this update as we consider it an incredible one. Your feedback is crucial, so feel free to send it to [email protected].